Google today announced a slew of updates to its Firebase app platform that touch many of the service’s core features (or will do so in the near future). 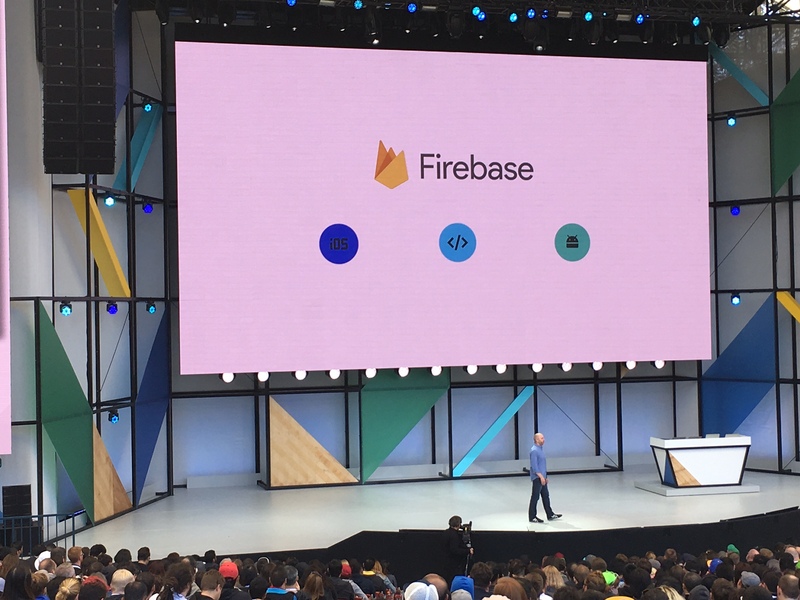 More than a million developers have now created projects with Firebase (though not all of these are active, of course), Google said today, and that number is growing rapidly. A few months ago, Google acquired the Fabric developer platform (and its team) from Twitter. With this update, the company is starting to integrate some of Fabric’s core features into Firebase. Crashlytics, which was Fabric’s flagship service, will soon become the main crash reporting product for Firebase. It’s unclear when exactly this will happen, though. One Fabric feature developers will be able to use right away, though, is phone authentication. This is based on the existing Fabric Digits authentication service, but Google is retiring this name in favor of Firebase Authentication. With this, Firebase now offers a comprehensive authentication service for developers. Like many of Google’s other updates today, the updated Firebase also offers new analytics and monitoring features. Google’s director of product management for its developer products group Ben Galbraith tells me that the company is rebranding Firebase Analytics as “Google Analytics for Firebase” and, as that name implies, the team actually worked closely with the Google Analytics team to make reports available in both Firebase and Google Analytics, for example. Similarly, Firebase now features a deeper integration with AdMob, Google’s service for in-app ads, and now shares data with Firebase’s analytics service, so it’s easier for developers to see the lifetime value of their users (based on both in-app purchases and AdMob revenue). But there is more; Firebase also now lets developers define up to 50 custom event parameters and see them in their Analytics reports. While Firebase’s focus tends to be on mobile apps, the service also offers a web hosting tool. 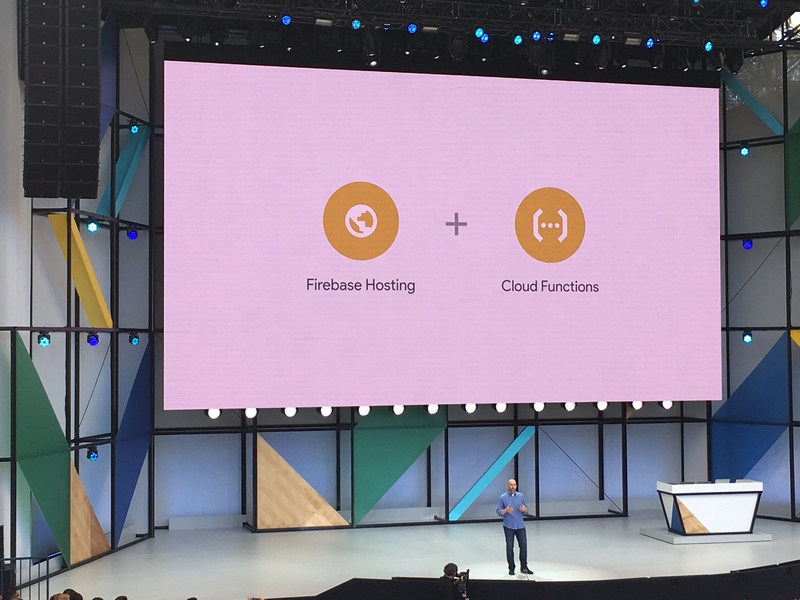 Until now, this was mostly about serving static pages, but with today’s update, it gets an integration with Cloud Functions for Firebase, Google’s “serverless” computing service for Firebase developers. With this, Firebase users can now easily send notifications when new users sign up, for example, or create thumbnails in different resolutions when somebody uploads an image. With this update, Firebase also is launching a new alpha program that will give any developer who wants it early access to new Firebase features. As Galbraith told me, the idea here is to make many of the early access programs the team is trialing internally available for wider tests. While anybody can become part of the program, though, the team will likely limit some of its tests to a subset of users. Other Firebase announcements today include better support for Apple’s Swift language in the Firebase SDKs, as well as new performance-monitoring features. The team is also open sourcing its SDKs. “We believe in open source software, not only because transparency is an important goal, but also because we know that the greatest innovation happens when we all collaborate,” the team writes in today’s announcement.